Photo of Rabat’s famous Kashbah in the heart of the city. I love blue. Blue is my absolute favorite color. The color of the sky on a brilliant September fall day. The color of my husband’s eyes. The color of water. The color of tranquility. 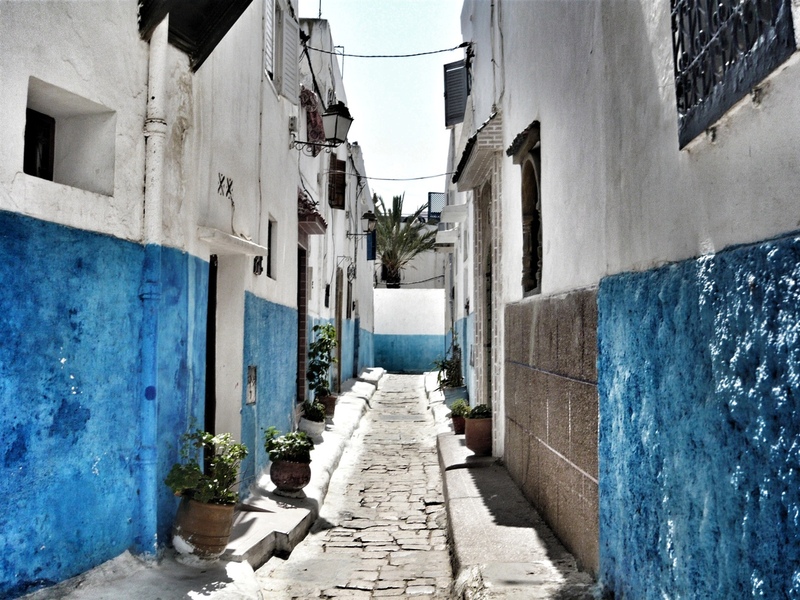 For that reason, I took this photo in Rabat of the gorgeous blue hues of the kashbah. What a spectacular place! That blue is amazing :). One of my favorite hues of blue…deep and intense. Like the color of our Minnesota sky in September. Magical.